Since 2013, Harts Services has provided Tacoma and the surrounding area with top-quality residential and commercial plumbing, sewer, and drain services at competitive rates for exceptional value. They also handle some HVAC and electrical work. 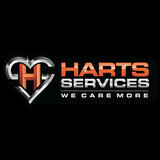 The company is committed to providing the highest quality work from expertly trained, respectful technicians who share Harts Services’ dedication to its core values and high standards of excellence. Customers enjoy complimentary inspections, loyalty plans, and education to ensure they understand their options and how to maintain their plumbing systems for better performance. Contact Harts Service for sewer and drain cleaning, hydro jetting, video inspection, open trench or trenchless sewer repair, kitchen and bathroom plumbing, and more. Lumpy the plumber is a licensed washington state plumber, performing plumbing and drain cleaning services in the Seattle area for 18 years, while lifetime over 25 years. LTP is family owned and operated and refuses to charge the hefty penny that major CEO companies do. Being professional, there when you need him, and friendly; he takes the time to explain the problem, how to fix it, and prevent it in a way you understand while keeping the prices well below ALL major marketing competition! Not only are we licensed bonded and insured however we are standing by waiting to hear from you! 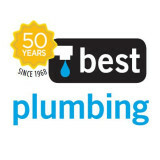 Welcome to Silverdale Plumbing & Heating, Inc. We are a local, family-owned and operated contractor that provides plumbing installation and service to the residents and businesses of the Kitsap Peninsula and the greater Puget Sound region since 1975. We are dedicated to providing professional, quality work to our customers at a cost that can't be beat. Offering 24/7 Emergency Service, Spartan Service Inc. is a locally owned plumbing and drain cleaning specialist. We believe in building customer loyalty by doing what's right. 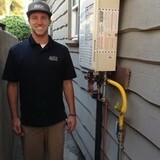 Call us today for plumbing repairs, bathroom or kitchen remodels and all type of Hot Water Heaters. Trenchless sewer service in Seattle is the best alterantive to trenching your lawn, sidewalk or backyard. With state of the art Perma-Liner materials and machines, we guranteee a less invasive sewer repair. Having the right side sewer tools for clogs caused by roots is the 1st step in solving your problem. Most sewer problems are preventable. Have Strictly Sewers Inc. do a lost cost inspection with our cameras. A plumbing contractor handles the installation and repair of water, sewage and natural gas pipes throughout a home, as well as interior and exterior faucets and fixtures. Plumbing contractors are also trained to work with water mains, septic tanks, laundry appliances, water heaters, sump pumps and other plumbing and pipe systems. Because plumbing repair work is done largely behind walls and beneath floors, some plumbing companies can also patch or replace tile, stonework and other surfaces. Although some Shelton plumbers are generalists, others specialize in specific areas; a 24 hour emergency plumber will handle urgent residential repairs, while others may be more skilled in remodeling, natural gas lines, overhead sprinkler systems and more. 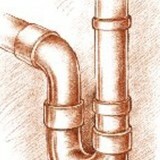 Find a local Shelton plumber on Houzz. Narrow your search in the Professionals section of the website to plumbing contractors in Shelton, WA. You may also look through photos of Shelton, WA projects to find a licensed plumber who has worked on a project similar to yours. Here are some related professionals and vendors to complement the work of plumbers: General Contractors, Septic Tanks & Systems, Kitchen & Bath Designers, Kitchen & Bath Remodelers.